WMC Insurance offers vision coverage through Eyemed and VSP, both of which offer extremely flexible benefits at affordable rates. 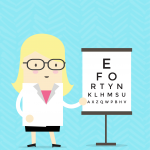 When considering vision coverage for your employees, WMC Insurance will work with you to find the most beneficial plan for your employees, while protecting your bottom line. Companies must have a minimum of 10 enrolled employees to qualify for a WMC Insurance vision plan. Employer sponsored plans (paid by the employer) make the rates more affordable. The employer needs to contribute 75 percent or more toward coverage of employees and dependents or have 100 percent participation of employees and dependents enrolled in a vision plan. Voluntary plans (the premium is paid by the employees) offers better benefits and more affordable rates than individual plans. WMC Insurance requires 10 enrolled employees to create a group voluntary plan.